Here’s our overview of the 2018 elections including links to essential information, candidate positions and news stories. Check back frequently — we’ll be updating through Nov. 6. 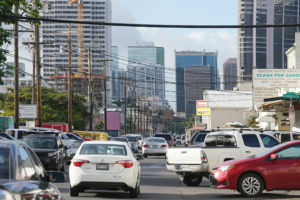 Hawaii voters will pick a number of top state and federal officials in this year’s general election as well as choose two new county mayors and many council members throughout the state. In 2018, voters also will be asked whether Hawaii should hold a constitutional convention — a formal meeting to decide what, if any, changes should be proposed to the state constitution. The general election is Tuesday, Nov. 6, a date set by federal law and the same throughout the nation. It’s a state holiday in Hawaii. 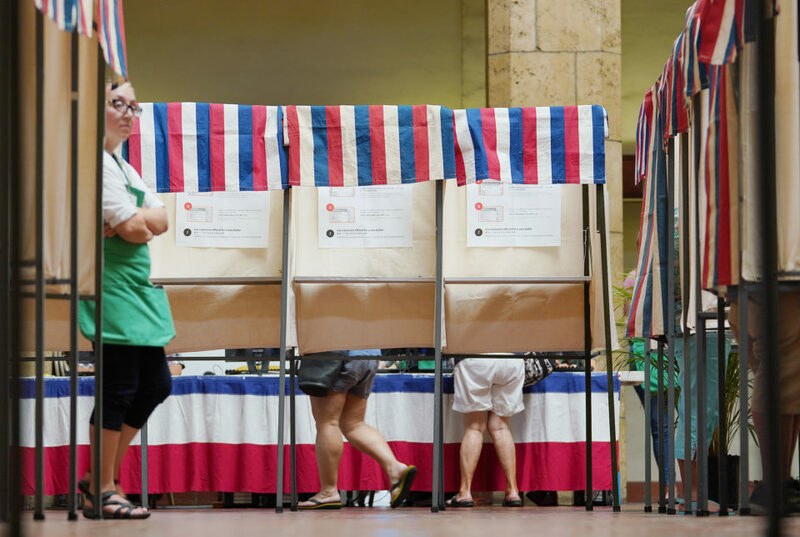 In Hawaii, the polls are open from 7 a.m. to 6 p.m. In 1960, 93 percent of Hawaii’s registered voters went to the polls in the general election. In 2014, the last time we elected a governor, only about 52 percent of the 706,000 people registered to vote in Hawaii that year cast a ballot in the general election. We do slightly better in presidential election years; in 2016 about 58 percent of registered voters voted in the general. 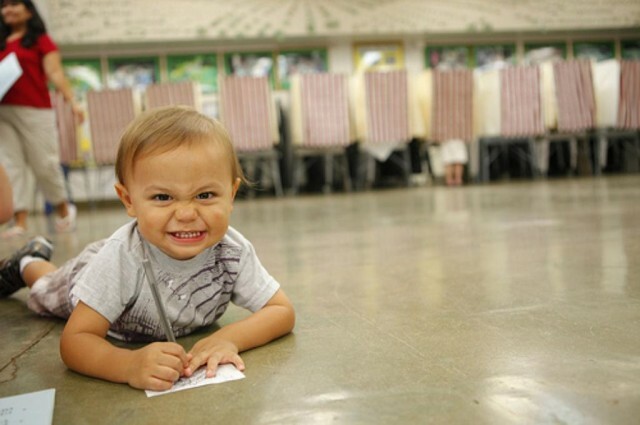 Hawaii has notoriously had one of the lowest voter turnout rates in the country. But in recent years, the Legislature has taken steps to put in place strategies aimed at boosting voter participation. For instance, voters can now register online. The deadline to register for the Nov. 6 general election is Oct. 9. But this year for the first time, if you miss the deadline to register for the general election, you can still walk in and register on Election Day at your designated polling place with proper ID or documentation of your residency. And you’ll have to fill out a registration affidavit. 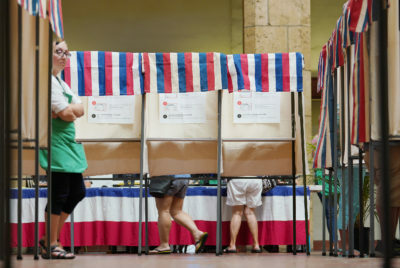 Nearly 500 voters in the counties of Hawaii, Maui and Kauai took advantage of same-day registration for the Aug. 11 primary. Every election, more Hawaii voters are casting their ballots by mail and voting early, sometimes even several weeks before Election Day. You can find the dates for early voting and the steps and deadline to request an absentee ballot on the state Office of Elections website. Of the 286,180 cast in the primary, 179,082 ballots were absentee — either mailed in or from early walk-in voting. This year, the Legislature came close to implementing a statewide all-mail voting system as a way to increase voter turnout and save potentially hundreds of thousands of dollars every election. 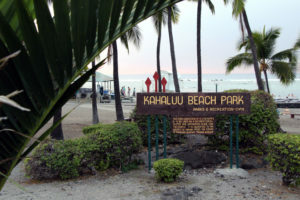 But in the last days of the session, lawmakers decided to test it first by implementing a pilot program on Kauai for the 2020 elections. Gov. David Ige, a Democrat, will face Republican state Rep. Andria Tupola. Their lieutenant governor running mates, respectively, are state Sen. Josh Green and Marissa Kerns, a Waianae business owner. U.S. Sen. Mazie Hirono, a Democrat, is seeking a second term. Her Republican competitor, Ronald Curtis, is a retired systems engineer. In the campaign for the 1st Congressional District covering greater Honolulu, former Congressman Ed Case, a Democrat, will face former Republican state legislator Cam Cavasso. In the 2nd Congressional District covering rural Oahu and the neighbor islands, Rep. Tulsi Gabbard is up against Republican Brian Evans, a writer and singer from Maui. In the Legislature, 19 of the 51 House seats are on the general election ballot along with eight of the 25 state Senate seats. Traditionally, most incumbents have been easily re-elected and the Democratic Party of Hawaii has long dominated both chambers. Races for county mayors and councils are nonpartisan. 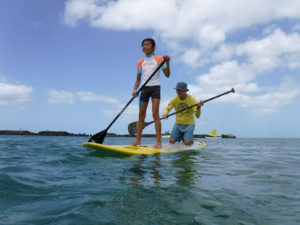 Derek Kawakami and Mel Rapozo oppose each other for the mayor of Kauai, while Mike Victorino and Elle Cochran are running for Maui mayor. Trustees for the Office of Hawaiian Affairs are also nonpartisan, and they are also statewide races. 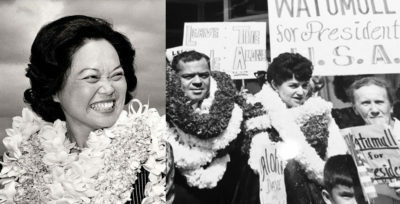 Candidates do not have to be Native Hawaiian, nor do voters. Candidates for the three at-large seats in the 2018 OHA field are incumbents Rowena Akana, Lei Ahu Isa and John Waihee IV, who face challengers Brendon Lee, former state Rep. Faye Hanohano and state official William Aila Jr.
For the open Oahu trustee seat, former federal official Esther Kiaaina faces Kalei Akaka, granddaughter of the late U.S. Sen. Dan Akaka. For the Maui seat, incumbent Carmen Lindsey will defend her seat against Ke’eaumoku Kapu. Hawaii last held a constitutional convention — or “con con” — in 1978. 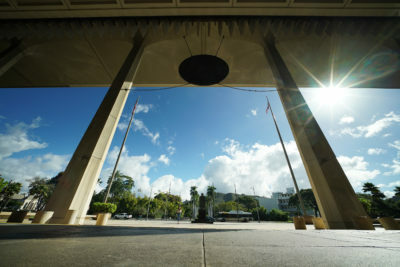 A con con gives voters the opportunity to bypass the Legislature and elect delegates in order to convene and consider changes to the Hawaii Constitution. All four counties also have charter amendment questions particular to their respective islands. The Hawaii Office of Elections website is the best place to find any information you need about the elections including how and when to register, how to find your polling place and when you can begin casting your ballot. You can keep up with all of Civil Beat’s coverage as the election season progresses in our Elections 2018 section. Unofficial 2018 General Election Ballot: Our way to help you keep track of races and candidates in your district. We have once again sent out questionnaires to candidates, asking them to give us their positions on key issues that are particular to the office they’re running for. You can find links to these Q&As on this page. Hawaii Civics 101: Our new series of short, explainer videos helps you understand politics, government and democracy in the Aloha State. Ad Watch: A viewer’s guide to campaign videos and political ads. We regularly analyze campaign commercials with an eye toward substance, tone, message and accuracy — whatever you need to know about an ad when you see it online or on TV. The federal government now requires TV stations to report political advertising spending and schedules online. Cashing In: Tracking political spending through state and federal campaign finance records. We review and analyze the campaign spending reports filed at various times of the year to report who is financing candidates and their campaigns. We look at political action committees and independent expenditure committees, too. The Civil Beat Poll: We conduct our own independent polls on a variety of topics and issues as election season moves along. 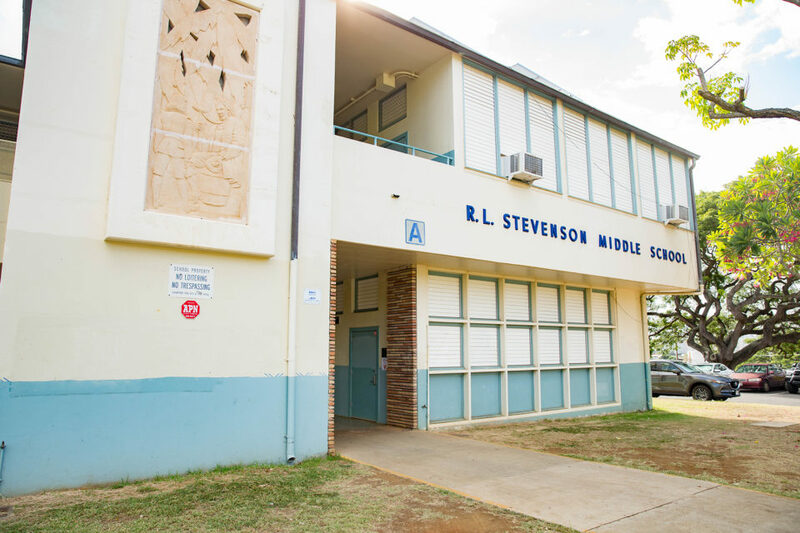 Check here to read about what Hawaii thinks about statewide and local races and issues. Civil Beat Politics: Learn more about candidates and issues by joining our Facebook Group, Civil Beat Politics. We aim to promote civil — yet spirited — discussion of and participation in the 2018 election. You can air your thoughts on campaigns, candidates and issues along with your friends, colleagues and even political rivals. 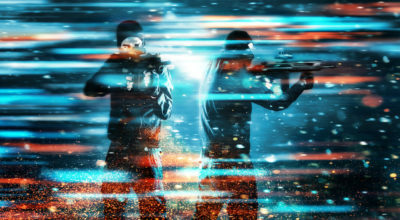 But it’s also a place to connect with others in the community who want to become more active in this year’s elections.